UPVC Window Mechanism Broken or Jammed locked shut Double Glazed Window? Are you having problems opening your window? Has your UPVC window mechanism broken? Or are you experiencing trouble with a locked shut Double Glazed window? David, The Window Wizard is here to help and fix your UPVC window and door problems. Specialising in all technical aspects of Double Glazing repairs. Such as jammed shut windows, converting discontinued window mechanisms. Furthermore opening a locked shut Double Glazed window because a UPVC window mechanism broken. David is The Window Wizard’s engineer who is extremely skilled and professionally qualified. Having over 25+ years of experience in the industry and technical field, of Double Glazing lock issues. With a wealth of knowledge, tricks of the trade. David will have your locked shut Double Glazed window opened in no time and with no damage to your window frame. 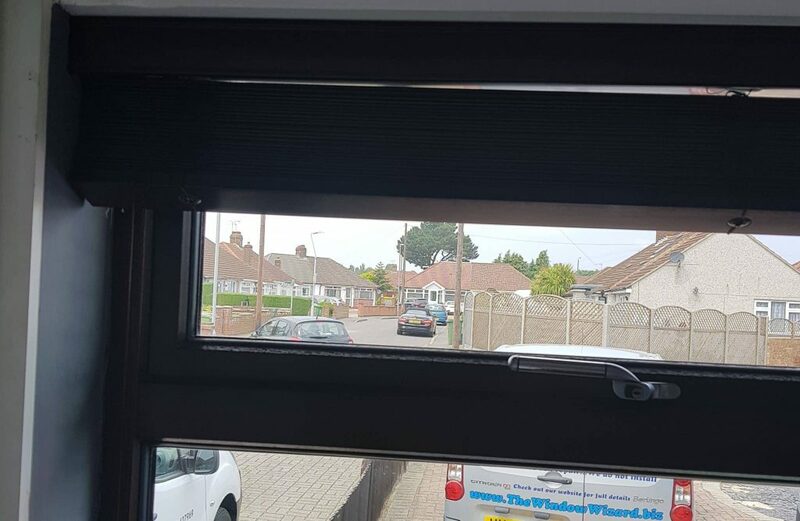 Why has my Window Jammed Shut? The most common reason for a jammed window or a locked shut Double Glazed Window is due to the mechanism breaking in the locked shut position. However, this is not a problem as we offer a fixed fee service, to carefully open your window without any damage and replace your broken window mechanism. A lot of inexperienced repairs will crowbar or use unnecessary force to open the jammed window. The consequence of this crude method results in bruised, dented and irreversible damaged to the window frame. Don’t worry if your broken window mechanism has been discontinued. As 99% of the time, David can convert a new style modern mechanism to replace your old broken discontinued window mechanism. Call if you are having problems or if UPVC Window Mechanism Broken? Has your window has suffered from excessive use or has simply been damaged overtime? You can rely on The Window Wizard to fix the issue if your UPVC window mechanism is broken. Furthermore, not only is it irritating, a broken mechanism can put the safety of the property at risk. With this in mind and the help of our Double Glazing Repairman David. We can assess what has been damaged within the lock or handle and repair or replace these issues as soon as possible. David will open your jammed shut UPVC Double glazed window, without any damaged to your window frame. Has your UPVC window mechanism broken in the locked shut position? David will unlock your window and replace the broken mechanism for a fix agreed price. A specialist in locks, David can convert new style window mechanisms to replace your discontinued window locks. From the top hung or side window hinges or the window locking mechanism itself. David can repair a vast range of double glazing related issues with the brands we have on hand. If we don’t have the make or brand of component needed to repair your window. You can rest assured we can source or convert the part required to fix the job. Locked Shut Double Glazed Window due to Lost Window Key or Broken Handle? Are you having problems opening your window? Does the handle keep spinning around? Or have you lost your window key and the window is locked shut. We provide competitive fixed prices for replacement window handles, broken mechanisms and window keys. To find out more about our services, Please don’t hesitate to browse through our website. The Window Wizard offers a local double glazing repair ONLY service. David has over 25+ years’ worth of experience and has dealt with a range of repair issues for customers throughout Bexleyheath and surrounding areas. Covering a 5 mile radius which, includes Dartford, Swanley, Welling, Bexley, Erith and Eltham etc. By David providing a Double Glazed Repair Service locally, we can offer a friendly, honest and affordable fixed price. Most importantly you will always have the same engineer. This means that you can have peace of mind knowing you can receive a regular, professional and affordable service. Call now for a free quotation to open your jammed or locked shut Double Glazed window. We have a no call out charge – Plus no fix no fee policy. You can The Window Wizard by email info@TheWindowWizard.Biz. Jammed shut upvc windows opened without any damage or bruising to the frame. Broken locked shut mechanisms replaced at a fixed price. Call your local professional double glazing repairer who specialise in opening locked shut or jammed double glazed windows. call for a free quote now.